File photo City Manager Tom Barry, Finance Director David Lakefield, Sen. John Hoeven, Lt. Gov. 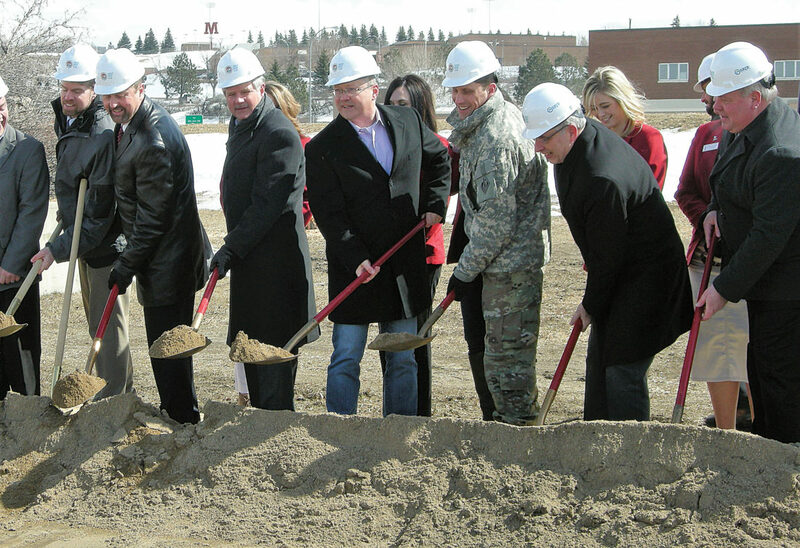 Brent Sanford, Col. Sam Calkins with the U.S. Army Corps of Engineers, former Mayor Chuck Barney and Public Works Director Dan Jonasson were among those shoveling dirt in a ceremonial ground breaking for the flood protection project in Minot March 28. Construction on the Mouse River Enhanced Flood Protection Project began in earnest in 2018. The sound of ceremonial shovels scooping dirt and equipment grinding and hauling away trees gave notice March 28 that the flood protection project residents have been waiting for since 2011 is on its way. U.S. Sen. John Hoeven, R-ND, Lt. Gov. Brent Sanford, Col. Sam Calkins with the U.S. Army Corps of Engineers’ St. Paul office joined local leaders to celebrate ground breaking on the first three phases of flood protection. These segments together extend from the U.S. Highway 83 Bypass to beyond Third Street Northeast. 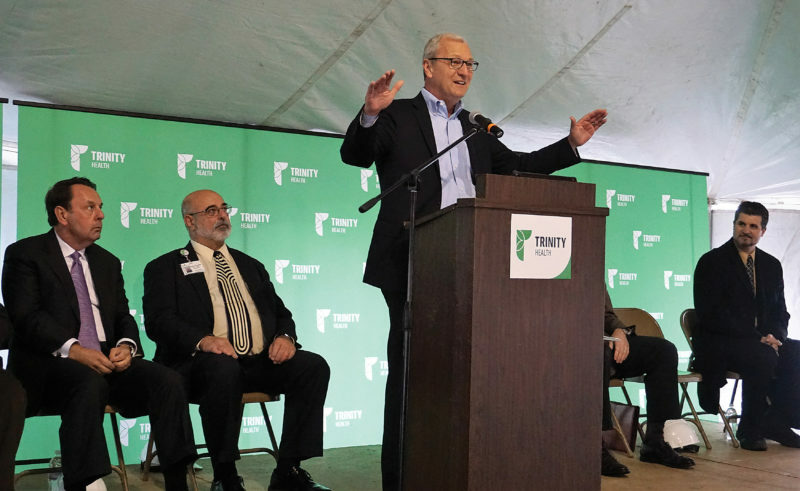 “This is the most exciting day I have had as mayor of Minot,” then Mayor Chuck Barney said at the ceremony, held under a tent near the Minot Water Treatment Plant on 16th Street Southwest. – Phase 1 Fourth Avenue segment, a six-block stretch of levees, floodwalls, a new sanitary lift station, and a major pump station from just west of Broadway to the east side of Third Street Northeast. – Phase 2 Napa Valley, from the Highway 83 Bypass to 16th Street Southwest, including levees, a road closure structure and two storm water pump stations. – Phase 3 Forest Road, running along the north side of the river between 16th Street Southwest and the end of Third Avenue Southwest near the intersection of the Canadian Pacific Railroad, primarily featuring earthen levees. The total cost for the three phases is estimated at $99.4 million. 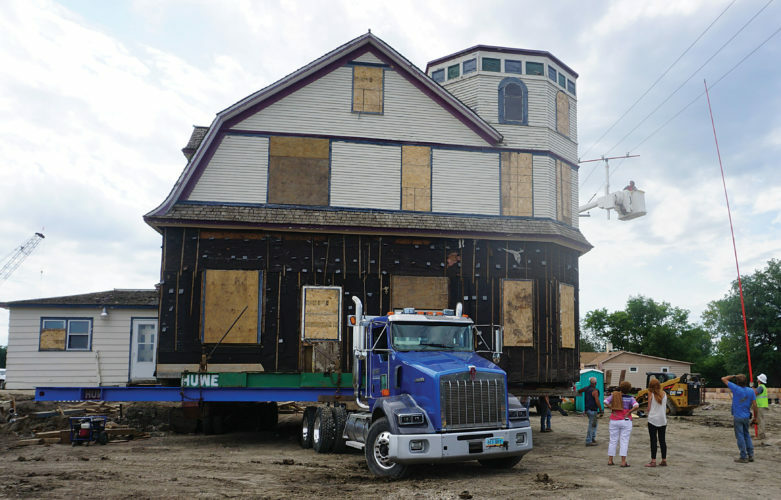 Construction on the Broadway Pump Station began about a month after the project’s ground breaking at the southwest corner of Broadway and Fourth Avenue. The pump station is considered to be one of the largest in North Dakota, with the capacity to pump 180,000 gallons of water per minute. Eight pumps will be installed in the facility. It is expected to take one year to complete. Meanwhile, the Structure Acquisition, Relocation and Ring Dike program serving the rural area in the Souris Basin continued to serve property owners with the $12 million available in funding. Toward the end of the year, the program continued to solicit participation. In July, Maj. Gen. Richard Kaiser, commander of the Mississippi Valley Division, and Calkins came to Minot for an update and tour of the construction. The Corps is conducting a feasibility study that will determine which project features might qualify for federal funding consideration. 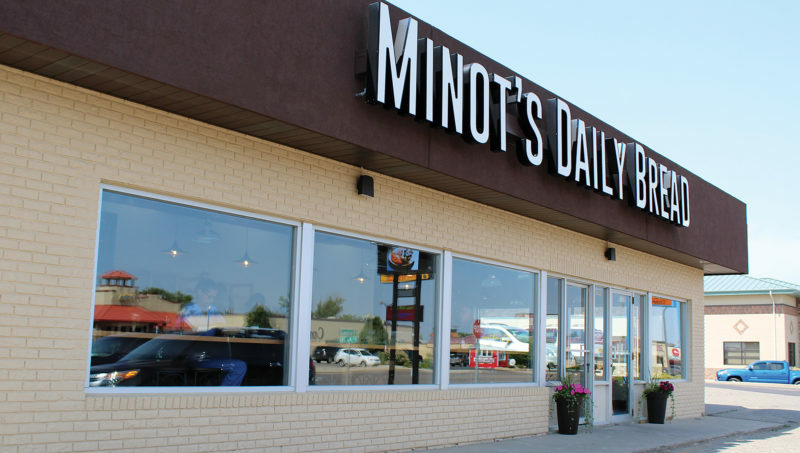 The joint board and City of Minot, along with the Corps, wanted to see the study completed and a report finalized yet this year so the project can be included in the next congressional authorization bill for water resources. However, in November, it was learned the the $55 million Maple Diversion portion of the project that met the cost ratio for consideration in the congressional authorization bill was not included. The project needed to have the Corps’ chief’s report, but due to the tight timeline in completing the feasibility study, that report wasn’t done in time to get the Maple Diversion in the authorization bill. Authorization is the first step toward consideration for federal funding. Plans are to get the project into the next water resources bill in 2020, although Hoeven said he will work to secure the authorization in the next available legislative vehicle. 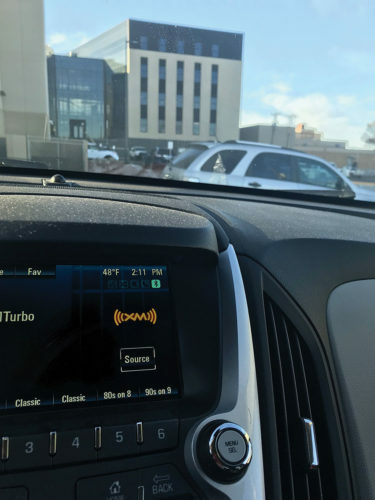 Going into winter, the project portion from Broadway to Third Street Northeast was about six months behind. Two other phases between the U.S. Highway 83 Bypass and Broadway are about six months ahead of schedule. Work on the Broadway and Perkett Ditch pump stations will continue over winter. In early December, a milestone was reached on the Perkett station with the placement of pre-cast concrete wall panels.